In January 2018, the Trump administration carried out its largest immigration action yet against a U.S. employer, with hundreds of federal immigration agents descending upon 98 stores in the 7-Eleven chain in 17 states and the District of Columbia. The enforcement operation, which occurred without prior notice to store management, resulted in the arrest of 21 unauthorized immigrants and may lead to criminal charges or fines for the employers. While few immigrants were arrested, the highly visible action—targeting a chain of convenience stores known for their presence in working-class and immigrant communities—sends a clear message that the workplace is not free from immigration enforcement. And it may also signal a major shift in worksite enforcement policy from the previous administration. About 6.5 million unauthorized immigrants are employed in the United States, making up 4.5 percent of the total employed population. While experts generally agree that workplace actions represent an essential part of a balanced immigration enforcement regime, approaches have varied significantly between administrations. Some have used high-profile worksite operations while others favor administrative audits, with compliance actions varying between a focus on employees versus employers. 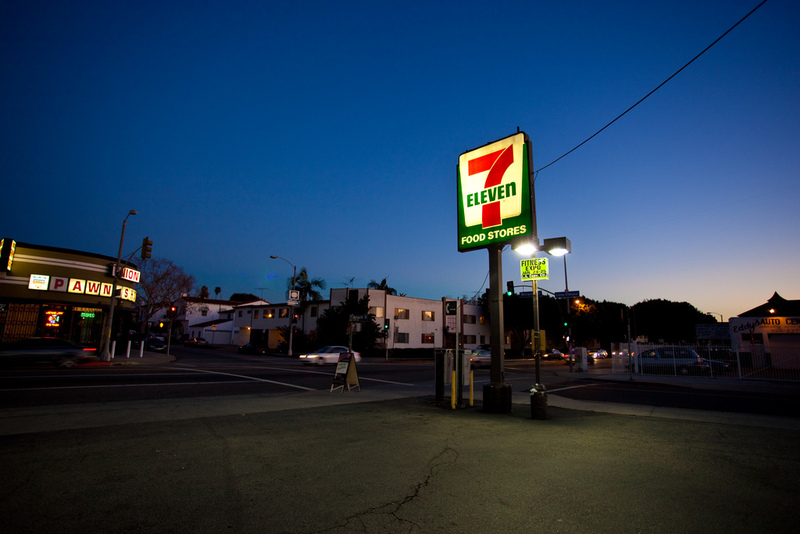 The 7-Eleven sweep was reportedly the product of an investigation that had begun in 2013. However, during the Obama administration, workplace enforcement rarely led to onsite operations or the arrests of individual employees. Those arrested in the 7-Eleven actions would ordinarily not have been a priority for arrest or removal in the latter years of the Obama administration, when enforcement was strictly focused on noncitizens convicted of serious crimes, recent border crossers, or those who had violated a recent deportation order. Thus, the Trump administration may be signaling a worksite enforcement approach that distinguishes it from the Obama years, in line with many of its other moves on immigration enforcement. Though in an act that appeared to cut against its messaging of new toughness in the workplace, President Trump in December 2017 commuted the 27-year prison sentence of a meatpacking CEO ensnared in a 2008 raid that netted the arrests of nearly 400 workers. This article examines how this new approach to workplace enforcement compares with those of prior administrations and how it fits with the President’s larger plan for immigration enforcement, including the message the government intends to send unauthorized immigrants. The 1986 Immigration Reform and Control Act first made it illegal for a U.S. employer to knowingly hire unauthorized immigrants, and put in place a regime of employer sanctions. However, the federal government has not consistently enforced sanctions (including fines and criminal prosecutions) against law-breaking employers, due to insufficient allocation of resources and the low priority placed on such enforcement. In addition, document fraud has presented a persistent challenge. For management to verify employment eligibility, the employee must attest to his or her authorization to work using Form I-9, and must present acceptable documents showing identity and employment authorization. Several permissible document types have proven easy to counterfeit, meaning many employers likely employ unauthorized immigrants without facing the legal liability for doing so. To address unauthorized employment concerns, Congress in 1996 authorized E-Verify (then called the Basic Pilot), an Internet-based employment authorization verification system that gives employers more certainty about a prospective employee’s right to work. Largely voluntary, it allows employers to enter basic biographical data about an employee, scan the information against Social Security Administration and Department of Homeland Security (DHS) databases, and receive a determination of whether the individual is work-authorized. As of the end of 2016, more than 678,000 employers participated in E-Verify. At the federal level, E-Verify is mandatory for a distinct subset of employers: federal departments and agencies, federal contractors and certain subcontractors, and certain employers previously convicted of hiring unauthorized immigrants. It is also required in 22 states, for some or all employers. E-Verify proponents advocate for its universal application, seeing it as a strong tool to deter unauthorized immigrant employment. Critics argue that a universal mandate would simply incentivize unauthorized workers and bad-faith employers to move off the books, and that it could increase discrimination in hiring. In addition, even in states where E-Verify is required, the mandates have not resulted in total compliance. Despite the increased emphasis and reliance on E-Verify, workplace enforcement remains an important tool that the government uses to get employers to comply, and even to enroll in E-Verify. For most of the George W. Bush presidency, worksite enforcement was a low priority. For example, in 2006, the government collected zero fines from employers for hiring unauthorized workers. However, worksite enforcement became a very visible and controversial component of the administration’s immigration policy in its final years. U.S. Immigration and Customs Enforcement (ICE) carried out a number of large, high-profile operations, resulting in the arrest, removal, and criminal prosecution of thousands of unauthorized workers. Some observers contend the administration ramped up raids after the failure of immigration reform bills in Congress in 2006 and 2007 in order to incentivize lawmakers to fix the system, believing the actions would lead to complaints from constituent business owners—a strategy that eventually failed. No worksite enforcement action during the Bush administration received more attention than the operation at the Agriprocessors Inc. slaughterhouse and meat packing plant in Postville, Iowa. In May 2008, ICE agents descended on the plant in helicopters and arrested nearly 400 workers. Of these, 306 were detained on criminal charges, including aggravated identity theft, in makeshift courtrooms set up on the grounds of the National Cattle Congress in Waterloo, Iowa. Most reportedly pled guilty to lesser criminal charges and accepted shorter jail terms and immediate removal. Several of the plant’s managers were imprisoned for labor and immigration violations or financial crimes. The high-resource and high-visibility workplace strategy may have served as a warning to employers, but its major target was unauthorized immigrants, signaling to them that even at work they faced the threat of removal. During the auditing process, employers received notices prior to being audited or fined, giving them an opportunity to first establish compliance. The aim was to ensure that employers were properly filling out and maintaining the I-9 verification forms. This slower, administrative, paperwork-focused approach to worksite enforcement was more cost-effective, allowing the administration to cast a wider net. The policy resulted in a decrease in the number of arrests, but an increase in fines assessed. By fiscal year (FY) 2014, individuals arrested on administrative and criminal charges had fallen by 90 percent and 67 percent, respectively, compared to FY 2008, the final year of the Bush administration (see Table 1). Administrative fines, however, increased by more than 2,300 percent over the same period. Source: Andorra Bruno, Immigration-Related Worksite Enforcement: Performance Measures (Washington, DC: Congressional Research Service, 2015), available online. Toward the end of the Obama administration, ICE also reportedly began focusing on tough criminal charges against employers, though no public data are available. promoting the ICE Mutual Agreement between Government and Employers (IMAGE) program (started in 2006), which educates and trains employers in targeted sectors on unlawful employment and document fraud. While acknowledging the need to arrest unauthorized workers, the strategy remains largely employer focused. Acting ICE Director Thomas Homan said the 7-Eleven operation was intended to send a strong message to businesses that “ICE will enforce the law, and if you are found to be breaking the law, you will be held accountable.” He instructed ICE to quintuple worksite enforcement actions in 2018. Yet despite this employer focus, as mentioned earlier, in December President Trump commuted the prison sentence of former Agriprocessors CEO Sholom Rubashkin, who was convicted on bank fraud and money laundering charges following the 2008 immigration operation on the kosher plant. The move comes after years of lobbying by groups who considered the 27-year sentence overly harsh and perhaps even anti-Semitic. The 7-Eleven action and the surrounding publicity thus far suggest that the Trump administration will continue its predecessor’s employer audit approach. However, under President Obama, the strategy largely insulated workers from enforcement, whereas the Trump administration’s approach clearly does not intend to protect them. Under this new enforcement style, ICE will apparently show up at businesses without prior notice to audit employers and apprehend unauthorized workers. This approach is clearly consistent with the administration’s broader interior enforcement strategy, under which every unauthorized person is effectively a priority for removal. The 21 immigrants arrested in the 7-Eleven operations will likely be placed in removal proceedings—a fate they would have been unlikely to have faced in the final years of the prior administration. The strategy is also in line with the Trump administration’s hardline public relations campaign seeking to keep unauthorized immigrants on edge. The message to unauthorized immigrants is clear: the workplace is not a safe space. Despite Ongoing Negotiations, DACA Fix Remains Elusive, but Federal Judge Intervenes. Despite efforts in Congress to reach a deal to address the situation of beneficiaries of the Deferred Action for Childhood Arrivals (DACA) program, and perhaps a broader group of unauthorized immigrants brought to the United States as children (known as DREAMers), no deal had been agreed to as of this writing. In fact, negotiations took a step backwards when an emerging bipartisan compromise in the Senate was scuttled and the federal government shut down for three days over the inability to find a DREAMer compromise both the White House and majorities in the House and Senate could endorse. Members of Congress are under pressure to act by March 5—the date after which DACA holders are due to start losing their benefits as a result of President Trump’s decision to terminate the program. They also face another looming deadline to finalize federal spending for the remainder of fiscal year (FY) 2018. Democrats had sought to link the two legislative agenda items to increase their leverage, since the spending bill cannot pass in the Senate without Democratic votes. When Republicans refused, the stalled negotiations led to the shutdown. Lawmakers have since passed a short-term spending bill to fund the government through February 8, amid an indication by Senate Majority Leader Mitch McConnell (R-KY) that he intended to allow a vote before then on immigration legislation. In the meantime, U.S. Citizenship and Immigration Services (USCIS) has resumed accepting DACA renewal applications following a court order. On January 9, a federal district judge in San Francisco issued a nationwide injunction ordering the government to resume granting DACA renewals, which it had stopped doing on October 5, under the Trump administration’s phaseout of DACA. The Justice Department has appealed the decision both to the Ninth U.S. Circuit Court of Appeals and the Supreme Court. Temporary Protected Status Terminated for El Salvador. On January 8, the Department of Homeland Security (DHS) announced it will end Temporary Protected Status (TPS) for nationals of El Salvador effective September 9, 2019. TPS was created by Congress in 1990 and provides work authorization and protection from deportation to certain nationals of countries that have been deemed unsafe for repatriation due to ongoing armed conflict, natural disaster, or other temporary circumstances. El Salvador was initially designated for TPS in March 2001 due to the effects of two major earthquakes. Nearly 263,000 Salvadorans hold TPS, representing about 60 percent of all TPS recipients. The Trump administration has announced the end of TPS for four countries: Haiti, Nicaragua, Sudan, and El Salvador, affecting more than 327,000 individuals in total. White House Begins Public Relations Campaign Against Family Immigration, Diversity Lottery. In December, the White House announced it would embark on a major public relations campaign urging Congress to reform the U.S. legal immigration system. The campaign focuses on eliminating the diversity visa lottery, reducing family-based immigration, and making immigration more “merit-based.” As part of the PR strategy, the administration released its findings on an alleged nexus between immigration and terrorism—a report that has since been widely criticized for using misleading and incomplete data. Future reports will highlight the number of immigrants in U.S. jails, and assess immigration court backlogs and asylum processing delays. This strategy is reflective of agenda items that Trump has promoted, from the campaign trail through his first year in office. In recent months, as Congress has attempted to negotiate a DACA deal, the White House has become increasingly vocal on these points, pushing for their inclusion in any agreement. Defining who is likely to become a “public charge” for the purpose of denying certain noncitizens admission into the country. While the administration is not tied to the actions in the Unified Agenda, it has already begun the regulatory process for many. Under Court Order, USCIS Begins International Entrepreneur Program, Plans to Rescind It. USCIS has begun accepting applications for an Obama-era program to grant entry and temporary stay to international entrepreneurs. The agency had delayed the program’s implementation, but a federal district judge in Washington, DC ruled the delay unlawful, requiring USCIS to move forward with the program. While the agency is now accepting applications, it has separately indicated that it will propose a regulation to rescind the program. DHS Bars Nationals of Haiti, Belize, and Samoa from Receiving H-2 Visas. DHS has removed Haiti, Belize, and Samoa from the list of countries whose nationals are eligible to apply for H-2A and H-2B visas. The H-2A visa is for temporary agricultural workers and the H-2B visa is for temporary nonagricultural labor, including industries with seasonal needs, such as landscaping or hospitality. The State Department and DHS are charged with maintaining a list of countries whose nationals may participate in the visa programs, based in part on each country’s level of cooperation on U.S. deportations, and the number of immigration violations committed by its nationals. Belize was removed for failing to meet the Trafficking Victims Protection Reauthorization Act’s minimum standards; Haiti was barred due to fraud and abuse within the temporary visa program, and a high overstay rate; and Samoa for failing to accept the return of nationals ordered removed from the United States. The dropping of Haiti from the list caused outcry, not only because Trump days earlier was reported to have spoken disparagingly about the country, but also because Haiti had first been placed on the list after the 2010 earthquake, in the hope that remittances resulting from Haitian participation in the temporary worker programs would help the country recover. USCIS Denaturalizes First Naturalized Citizen in Operation Janus. On January 5, a U.S. district judge revoked the naturalization of a man from India who had become a lawful permanent resident (LPR, also known as a green-card holder) and subsequently U.S. citizenship using a false name. The man now returns to LPR status, and may be subject to removal proceedings. This is the first denaturalization to result from a group of cases under Operation Janus that USCIS referred to the Justice Department for prosecution for possible fraudulent citizenship. A DHS initiative, Operation Janus identified these cases based on missing fingerprint records in the centralized DHS database. Some of these individuals had criminal records or had been issued orders of removal under other identities. Although Operation Janus began a decade ago, in response to a U.S. Customs and Border Protection identification of 206 people who had obtained green cards or citizenship under a false identity, by March 2015 the Justice Department had accepted just two cases for prosecution and had declined 26. The January 5 denaturalization resulted from a case filed in September 2017, along with two other Operation Janus cases. USCIS plans to refer another 1,600 cases to the Justice Department for prosecution. New Law Makes Parents of Unauthorized Children Ineligible for Tax Benefit. The tax reform bill championed by Republican lawmakers and signed into law in December requires children to have a valid Social Security number (SSN) in order to be claimed by their parents for the child tax credit, starting in tax year 2018. Currently, noncitizens lacking an SSN can use their Individual Taxpayer Identification Number (ITIN) to claim the credit, regardless of the children’s immigration status. This change will make about 1 million children ineligible for the child tax credit. For those who remain eligible, the tax credit was increased from $1,000 to $2,000, up to $1,400 of which is refundable. Federal Judge Halts Removal of 92 Somali Nationals After Botched Deportation. Lawyers from the University of Miami School of Law filed a class-action lawsuit to prevent the removal of 92 Somali nationals onboard a deportation flight in December that failed to complete the trip, instead returning to the United States. On January 8, a U.S. district judge temporarily halted the Somalis’ removal and said he would decide by January 22 whether to extend that pause to allow them time to reopen their immigration cases, though as of publication no decision has been reported. The lawsuit alleges that during the 23 hours that the airplane sat on the runway in Senegal, the Somalis were mistreated by U.S. Immigration and Customs Enforcement (ICE) officials. Lawyers for the deportees maintain that the media coverage garnered by the botched removal increases the likelihood their clients would be attacked by al-Shabab, a terrorist group known to target Somalis returning from the United States. Somalia in 2017 started accepting the return of more of its nationals ordered removed by the United States, as the Trump administration has increased pressure on countries that refuse to cooperate. In FY 2017, 521 Somalis were deported, compared to 198 in FY 2016. Florida Law Enforcement Agencies Agree to More Cooperation with ICE. In January, ICE announced that 17 local law enforcement agencies in Florida have agreed to Basic Ordering Agreements (BOAs) with the agency. The agreements are intended to shield local agencies from potential legal liability for complying with federal detainer requests, i.e. ICE requests for the agencies to hold removable noncitizens up to an additional 48 hours beyond their scheduled release. Some courts have ruled that holding inmates after their criminal charges have been resolved violates their constitutional rights. Under the BOAs, each ICE detainer request will come with an arrest warrant and a booking form to allow the local jail personnel to rebook the inmate on the ICE warrant. Sheriffs will also be paid up to $50 to hold inmates for up to 48 hours. This attempt to provide immunity to law enforcement agencies is likely to be legally challenged. ICE intends to roll out this template nationwide, although jurisdictions advocating for limited cooperation with federal immigration enforcement authorities will likely not participate. Sheriff Joe Arpaio Announces Run for Senate. Joe Arpaio, who gained national notoriety—and a following—through his staunchly hard line on immigration enforcement as Sheriff of Maricopa County, Arizona, has announced that he will run for the U.S. Senate seat that will be vacated by Jeff Flake (R-AZ) later this year. The 85-year-old is widely known for using local deputies to conduct immigration sweeps and for housing suspected immigration violators in "tent city" jails. In 2017, he was convicted of criminal contempt for defying a court order to stop detaining individuals based solely on suspicion of their immigration status. The conviction was punishable by up to six months in jail, but Trump pardoned Arpaio in August 2017, before he was even sentenced.